A twitcher is a type of birder who seeks to add as many species as possible to their life list, often without detailed or long-term observation of individual birds. Instead, twitchers are often characterized as being satisfied only with achieving a confirmed identification as quickly as possible. These types of birders are regularly associated with poor birding ethics, though that generalization does not apply universally to every twitcher and only serves to promote controversy and discord about this type of birding. The origin of the term “twitcher” refers to the nervous, twitchy behavior of well known British birdwatcher Howard Medhurst, who frequently traveled long distances on short notice to see rare birds. The term came into common use for birders in the 1950s and 1960s as the popularity of birdwatching increased and individuals sought to outdo one another in the numbers of birds they had seen. Today the term twitcher is most popular in Britain and Europe, where it has fewer negative connotations. 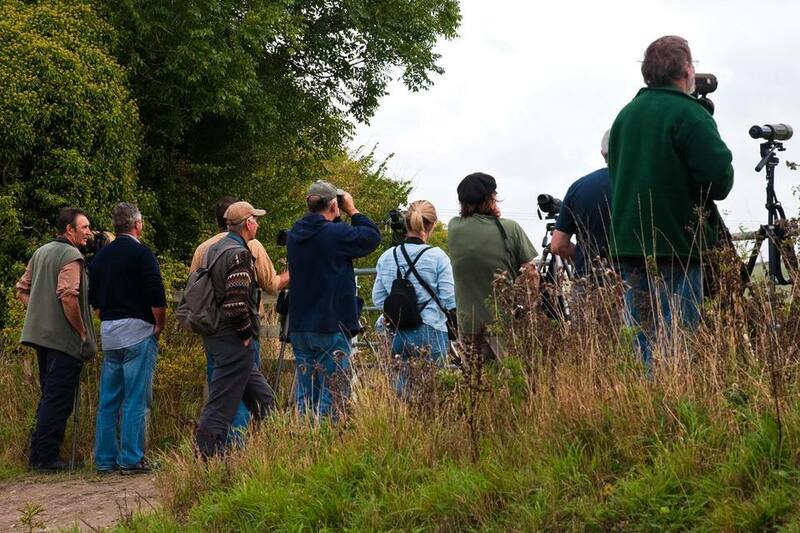 It is less frequently used to describe birders in North America or other parts of the world but is gaining more familiarity as competitive birding grows more popular through big day races and big year goals. A twitcher does not generally devote great lengths of time to bird observation. Instead, they are content to simply identify the bird species conclusively and add it to their life list. Because twitchers often use rare bird reports or hotlines in order to plan their next birding field trip, the birds are generally already identified for them. Once they have seen the bird, they can quickly move on to the next hotspot, rather than spending additional time in the same place with little hope of seeing additional new species. It must be noted that not all twitchers engage in risky, unsavory or disreputable behavior in order to see new bird species. It is unfortunate that the practice of twitching has gained a reputation for poor behavior, and many twitchers eagerly enjoy birds in responsible, ethical and polite ways as they add more species to their lists. Twitching - Good or Bad? Twitching can be controversial among birders. On one hand, competitive birding can be fun and can raise interest in birding, particularly for younger generations who will then grow to support bird conservation. Twitchers can help confirm rare bird reports, share sightings with other birders and enhance records about migration patterns and population changes. Their contributions to nature preserves, national parks, and similar areas through guest passes, admission fees, and voluntary donations help support habitat restoration and preservation. An over-obsession with increasing a life list, however, could lead to unscrupulous reports and misinformation in an attempt to appear more successful. Twitchers may be seen as rude or pushy, particularly if they are chasing multiple birds and have little regard for their fellow birders. In extreme cases, some twitchers may be willing to break laws, such as trespassing on private property, in order to add a new bird to their life lists. Obsessive twitching could be personally damaging as well, causing problems at work or with social relationships when twitchers fail to perform their duties or keep personal appointments. Ultimately, every birder needs to decide how much of a twitcher they want to be and if this type of birding suits their avian interests.